Archive » Terra Madre Salone del Gusto 2016 is online! The Terra Madre Salone del Gusto 2016 website was presented today in Milan: 5,000 delegates from 160 countries, over 800 exhibitors, 300 Slow Food Presidia and 500 Terra Madre food communities will take part in the most important international event dedicated to food culture. 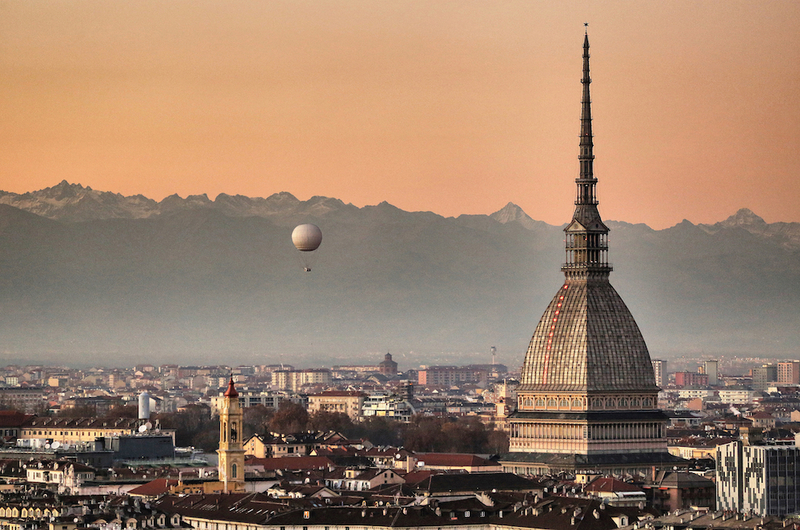 Organized by Slow Food, the region of Piedmont and the city of Turin, Terra Madre Salone del Gusto, this year in its 11th edition, will be held from September 22 to 26 in Turin (Italy). For the first time in its history, the event will be held in the streets, in the squares, in parks and in the most important buildings of the city center. All the latest news are online at: http://www.salonedelgusto.com, where it is possible to request the press accreditation. “Twenty years ago, when Salone del Gusto was born, food and agriculture had little space in communication, economy and politics. Since then, many things have changed, and despite the media spectacle not always helping the cause, awareness of the cultural, environmental and social importance of food systems has grown dramatically around the world, thanks in part to the work of Slow Food. This incredible heritage of energy and knowledge is manifesting itself in the Terra Madre network, made up of 2,400 food communities in 160 countries. They will show us the meaning of Loving the Earth, the chosen theme for this year’s event. At the Royal Palace of Turin, in the apartment of Queen Elena, two palatial rooms will host Workshops dedicated to the world of wine, with a focus on natural labels and an overview of the European wine-producing regions, from the German Moselle to the Portuguese Bairrada. At Eataly Turin Lingotto, there will be brewing events dedicated to artisanal beer with superstars of the international beer scene and an extraordinary range of beers produced in Italy, Spain, Poland, Greece, Mexico, Brazil, and the island of Malta. At the Circolo dei Lettori, the workshops will concentrate on products from the soil, from the diverse regions of Italy to lesser-known international delights. At the Carignano Theater – which also will host big conferences – an array of encounters with coffee, learning more about the history of Italian coffee culture and getting to know coffee from different countries: Ethiopia, Senegal, Tanzania, India, Honduras, Colombia, Peru, Brazil. 4 Dinner Dates with noted international chefs. From pre-Soviet cuisine reimagined through a contemporary lens by Sergey and Ivan Berezutskiy to the revolution of Xavier Pellicer (Spain) wherein meat and fish become side dishes, an accompaniment to a rich world of vegetables interpreted with perfect technique. 27 Cooking School lessons. A place of exchange, with participants actively involved in the preparation of dishes, chefs become true teachers, telling the stories and ideas behind their kitchens. 12 big conferences at the Carignano Theater will expand on the central theme of Loving the Earth from multiple points of view. Speakers of international fame will confront topics like food and multinationals, human and animal welfare, gastronomy and modern art, agro-ecology and many other topics. 41 Terra Madre Forums, which will take place in Valentino Castle. These are spaces for confrontation where Terra Madre delegates will debate on a wide range of topics: agriculture, soil, legality, the raising of livestock and animal wellbeing, biodiversity, meat consumption and the role of women in food production. 180 Educational Activities at the Medieval Village Borgo Medioevale in Valentino Park for children and families. 15 Mixology events in via Cavour at the Bolaffi Auction House dedicated to vermouth, gin, sake, rum and whiskey. 4 thematic areas dedicated to: the world of fishing and marine ecosystems; indigenous peoples and their diversity of cultures, languages and customs; bees and the biodiversity of honey; and the role of migrants in the food chain. 2 interactive programs dedicated to the Slow Meat campaign and to two projects that Slow Food has been pursuing for years in its quest to safeguard biodiversity: the Presidia and the Ark of Taste. Valentino Park, by the river Po, will host the Italian and international market. The Borgo Medievale will host educational activities for schools and families. Valentino Castle and Torino Esposizioni will host the Terra Madre Forums. At the Royal Palace there will be the Enoteca with over 900 labels and the Taste Workshops dedicated to wine. In Piazzetta Reale in front of the Palace, there wil be the Food Trucks. Piazza Castello will host the Kitchen of the Slow Food Chefs’ Alliance. In Via Roma and Piazza San Carlo, 150 Italian Presidia will exhibit their products. Carignano Theater will host the big conferences. The Circolo dei Lettori (Reader’s Circle) and the Bolaffi Auction House will host a part of the Taste Workshops. In the Piazzale Valdo Fusi there will be the market of the Maestri del Gusto (Masters of Taste) with delicacies from Turin and the surrounding area. The Intesa Sanpaolo skyscraper will open its doors to cooking schools in the Bioclimatic Greenhouse. The riverfront, known as the Murazzi, and Piazza Vittorio Veneto, will host a Street Food bonanza and a wide selection of artisanal Italian beers. Eataly Turin Lingotto will host a number of Taste Workshops, Dinner Dates and Cooking Schools. The program of Conferences and Terra Madre Forums will be online on mid-June. Being a Slow Food Member at Terra Madre Salone del Gusto Is Worth It!